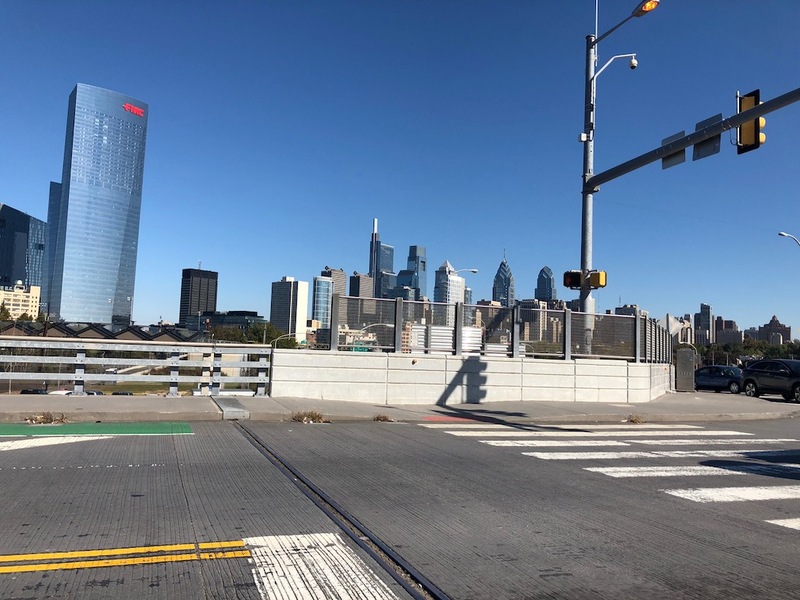 We were down at L&I the other day and got what we were looking for much more quickly than expected, and found ourselves with some time to kill in the heart of Center City. We took the opportunity to amble over to the new Comcast Technology Center, which was bustling with activity even through it’s not yet completely finished. 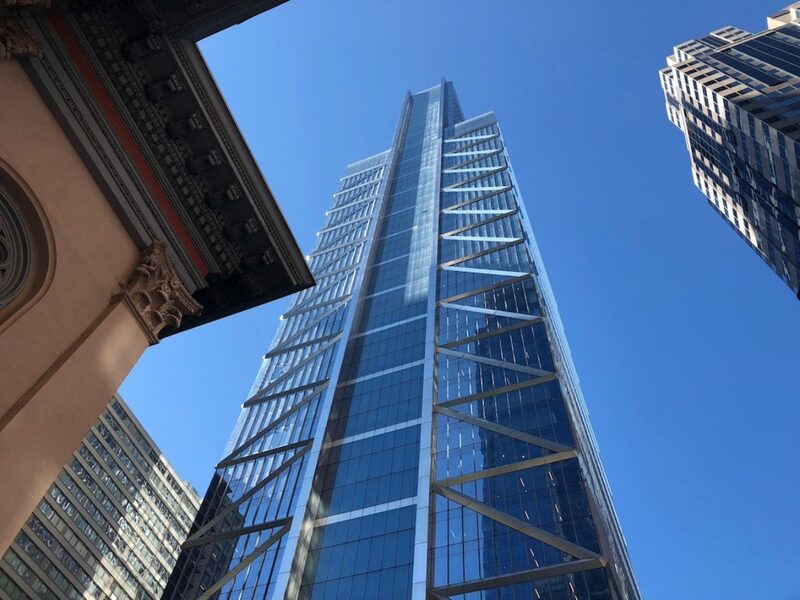 A reminder, in case you don’t recall, this 60-story building is the tallest structure in Philadelphia and the 9th tallest building in America. 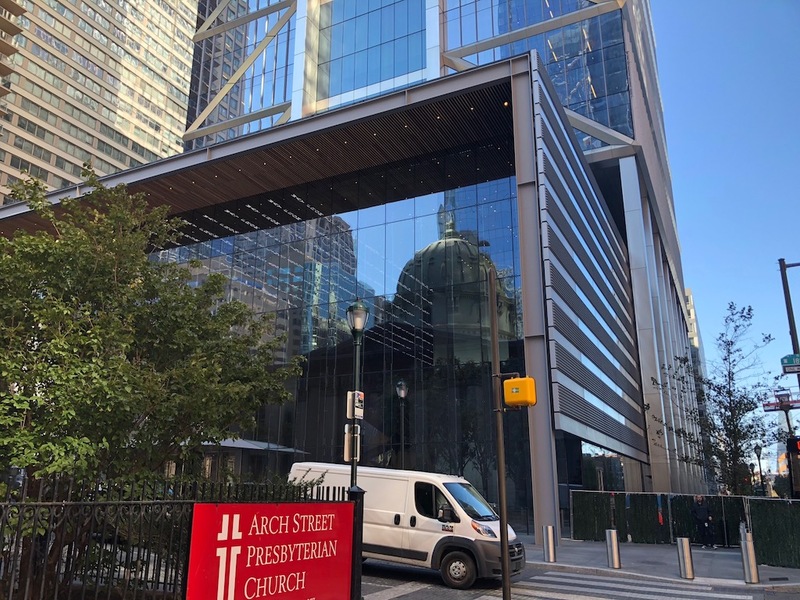 The building contains Comcast offices, some of which have been occupied since the summer, as well as television studios, relocated from Bala Cynwyd. Lacking an id badge, we only were able to make it as far as the lobby. But as lobbies go, this one is really impressive. 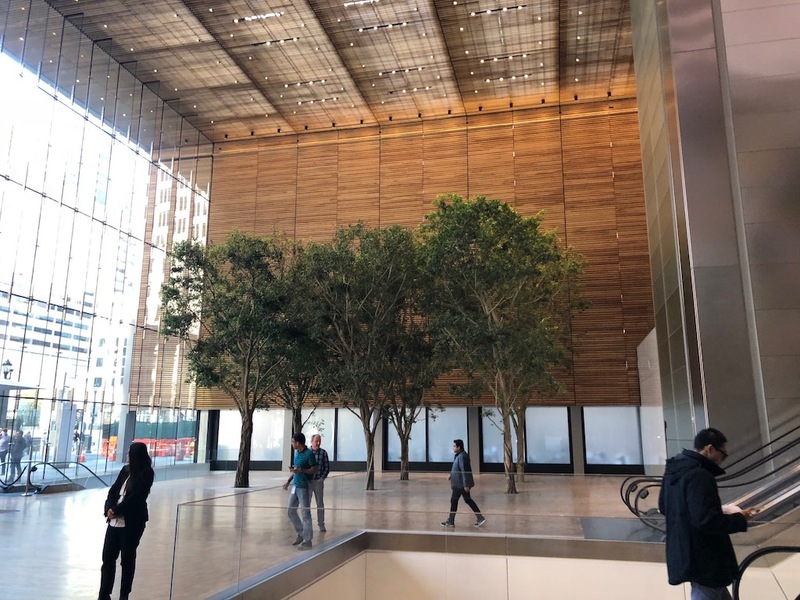 Walking in, there’s a huge atrium inside the doors on 18th Street, with a handful of trees on either side of the room. 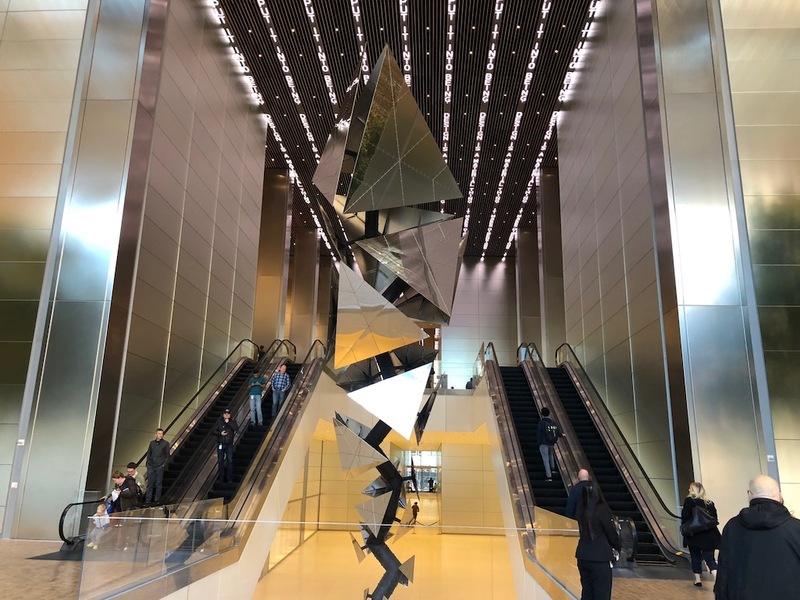 Straight ahead, escalators provide access to a mezzanine level, with a massive abstract sculpture called “Exploded Paradigm,” by Conrad Shawcross, calling dramatic attention to itself. 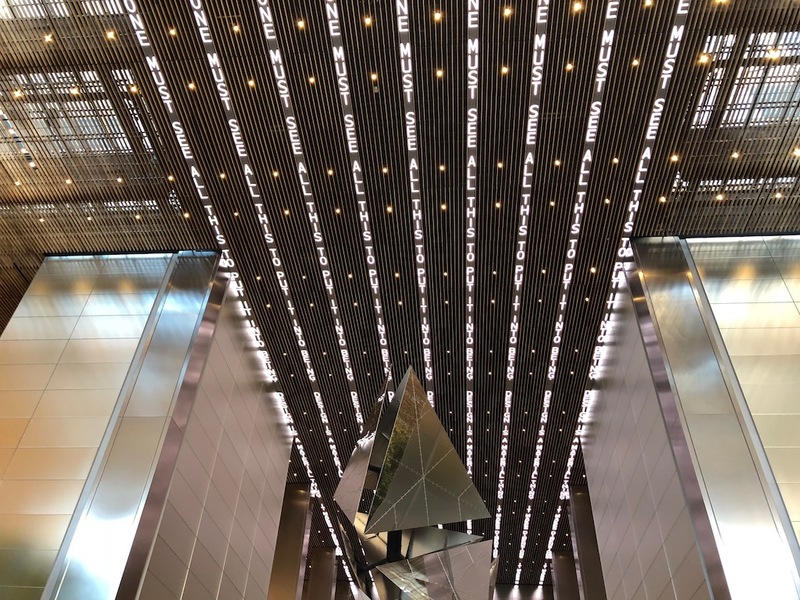 On the ceiling is a multimedia art installation by artist Jenny Holzer, which consists of phrases constantly scrolling across the ceiling. We foolishly took a photo and not a video. Not content to simply gawk at the handsome lobby and the impressive art, and always on the lookout for a tasty coffee and/or pastry, we made our way to the mezzanine, which is home to Vernick Coffee Bar. As the name suggests, the coffee shop comes from acclaimed local chef Greg Vernick, and as his reputation would have you believe, it’s a wonderful spot. 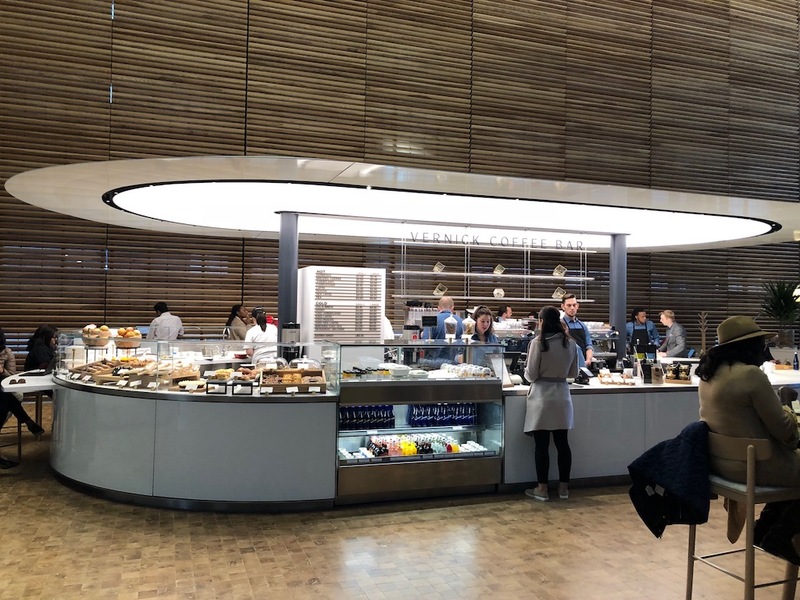 Vernick Coffee Bar offers counter service, with coffee and pastries and pre-made sandwiches, and also has table service, with additional menu items. Aesthetically, it’s a winner as well. And we even spotted Comcast CEO Brian Roberts grabbing a bite. 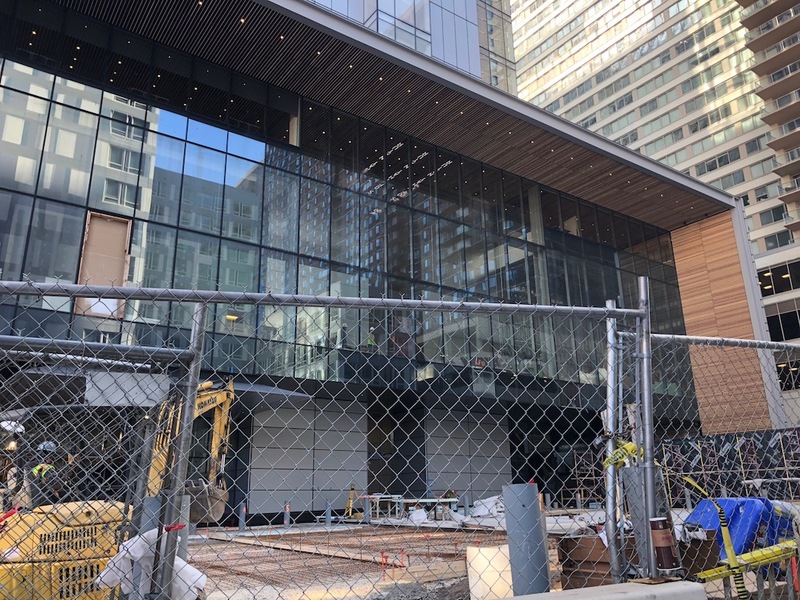 The other big piece of the puzzle for this building is the Four Seasons Hotel, which is set to open sometime in the middle of next year. The hotel will occupy the upper floors of the building, with access from the 19th Street side. 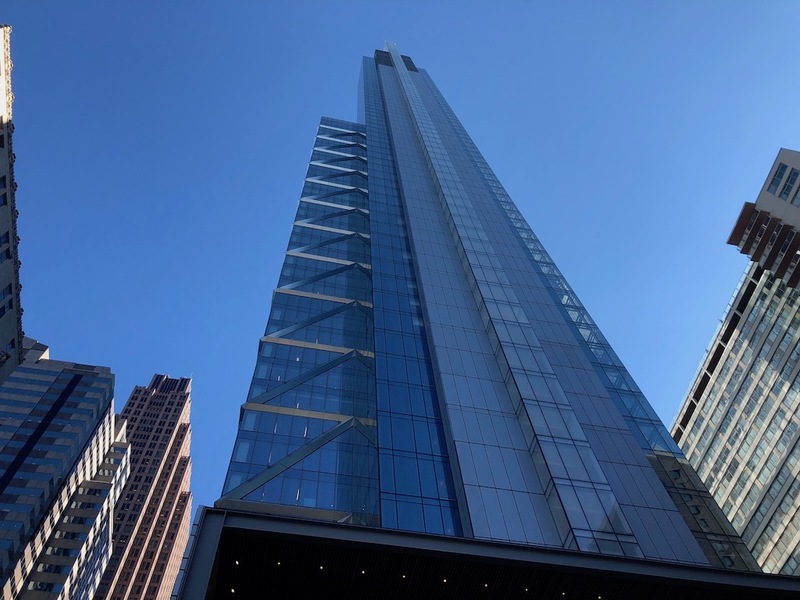 It will also feature a rooftop restaurant which will surely be compared forever to the Fountain restaurant which sat in the old Four Seasons, on the Ben Franklin Parkway. That place set the bar incredibly high, it’ll be fascinating to see how the new restaurant compares when it eventually opens its doors. 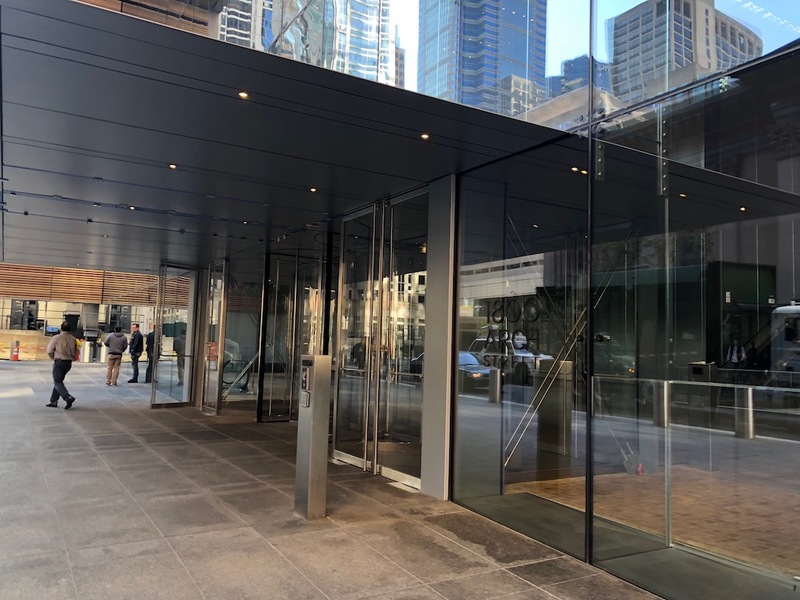 All of these descriptions are well and good, but more than most of the development we cover, this building needs to be seen in person for you to truly appreciate it. From up close, at least in the public sections, it’s a wonderful addition to downtown. From a distance, its towering presence has made a significant and permanent change to the local skyline. Considering our town’s reputation, it’s kinda fun that our tallest building looks like it’s giving the ‘thumbs-up’ sign, right? At least as far as Comcast is concerned, it’s all good, Philadelphia. And a perfect expression of how we Philadelphians feel about everything.